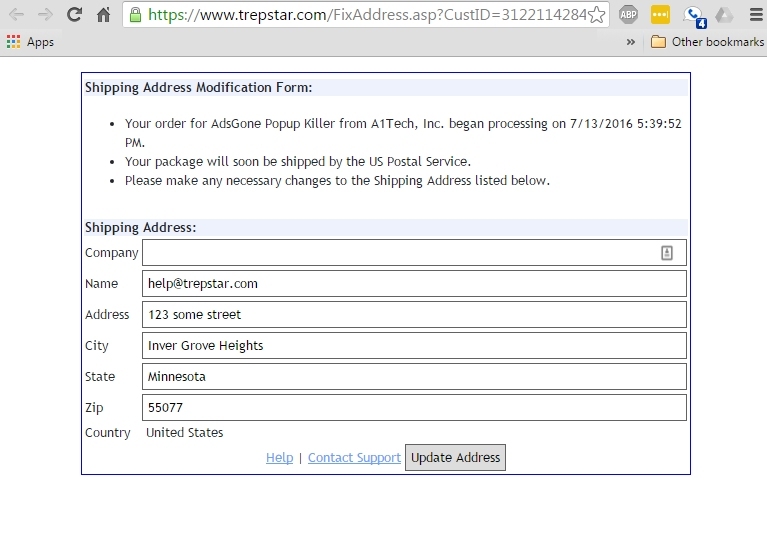 TrepStar lets your customer modify the shipping address before the postage label is printed. If you use TrepStar for single quantity order fulfillment, the customer may modify the address (if you enable this feature). 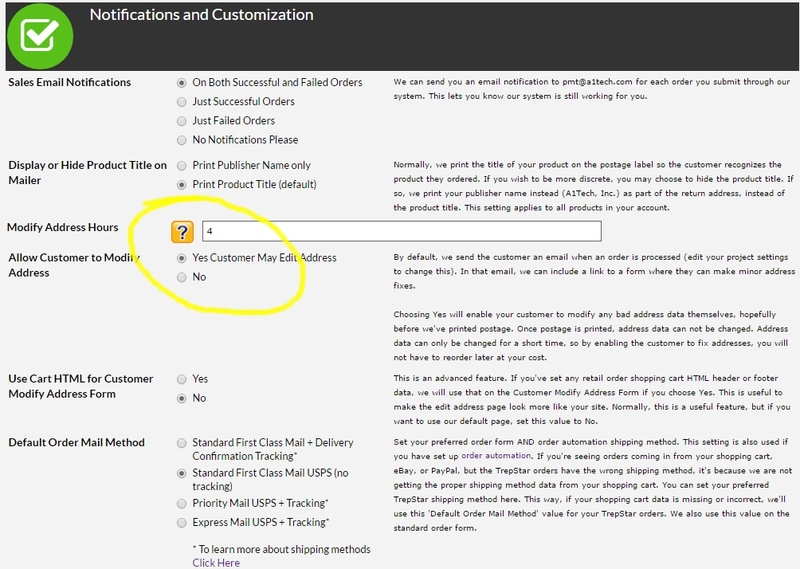 1) An optional email is sent to the customer with a link to edit the address. 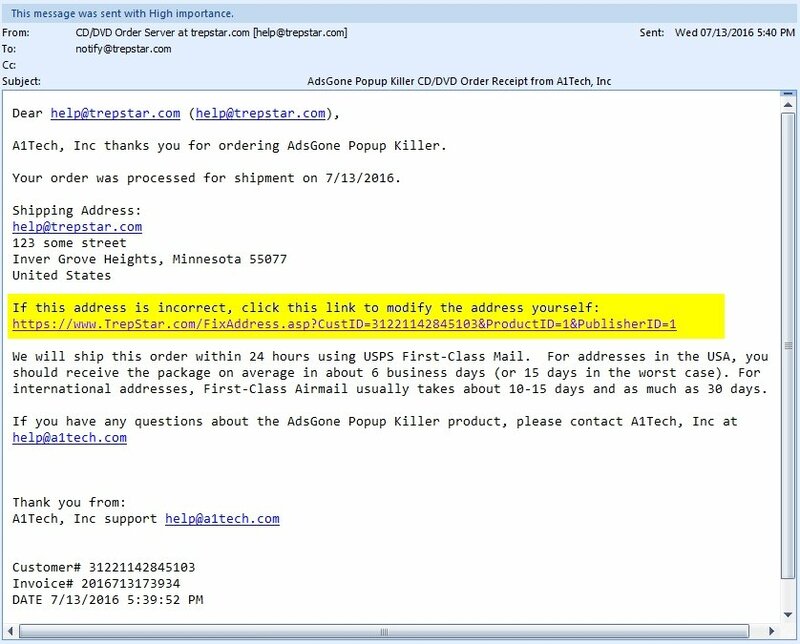 A separate optional email includes a package tracking link (once the postage is printed). 2) Depending on your account settings, your customer would have between 1 and 10 hours to edit this address before we print postage. You can turn these features off and modify them within your account settings.